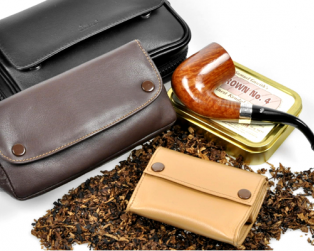 Lubinski and Colibri pipe lighters. 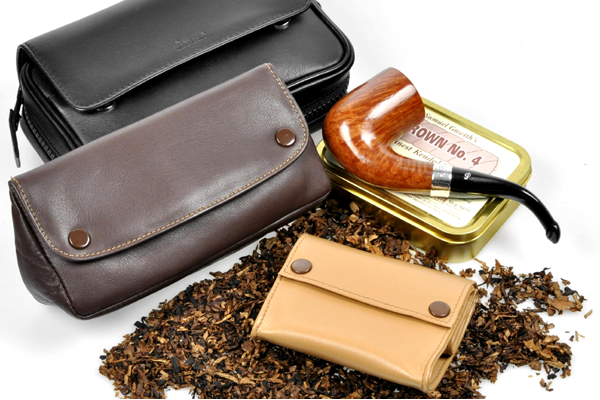 Tobacco puoch in genuine leather. 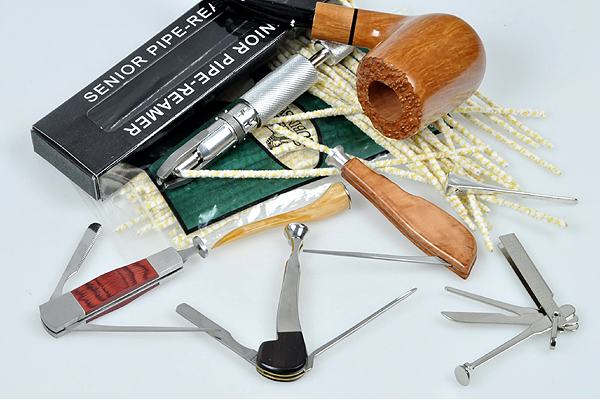 Pipe-reamers in metal with two or three blades adjustable. Also in gift set. 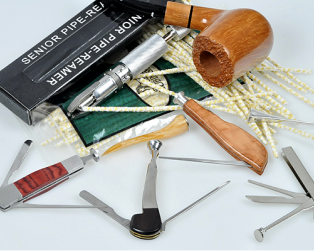 Pipe knives and tampers in stainless steel, in acrylic, in juvelite or silver. 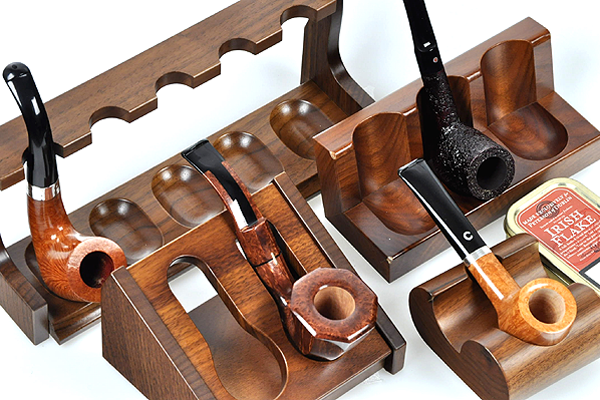 Some dressed in briar, bone, ebony and other rare materials. Hobbyist corner and repairs briar blocks and plateau. Vulcanite and acrylic mouthpieces. Pipe rests from 1 to 24 seats. Made exclusively for us in the best walnut and in burl veneer. 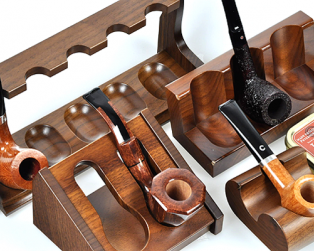 Ashtrays: with cork knocker, in wood, burl, ceramic, horn or pewter. Some also with pipe-rest. Tobacco-jars in wood burl or ceramic. All air tied with humidification unit.